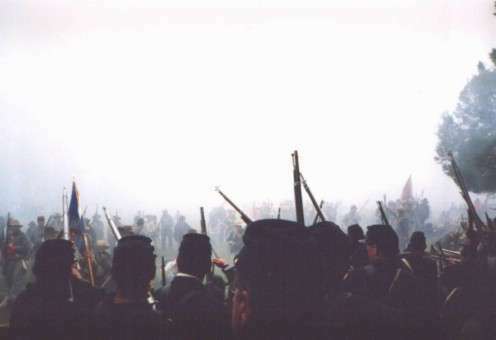 and suddenly the Confederates emerge out of the smoke in front of the 20th Maine. 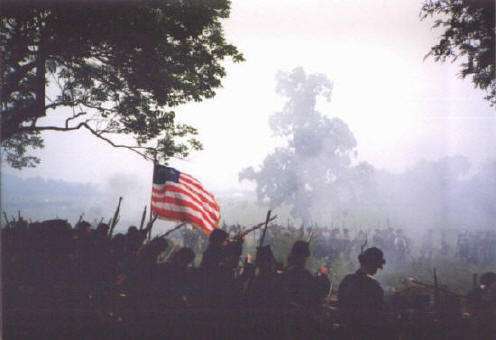 The Union soldiers open fire. . .
and the Confederates are driven back, but they re-form and charge again.